While everyone knows that Nokia will be launching its cheapest Windows Phone, the Lumia 610 anytime now, we have news that an NFC version of the device might be coming as well called as the Lumia 610 NFC. We just bumped into a video which shows the little smartphone supporting NFC. So this makes it the first ever Windows Phone to support NFC. 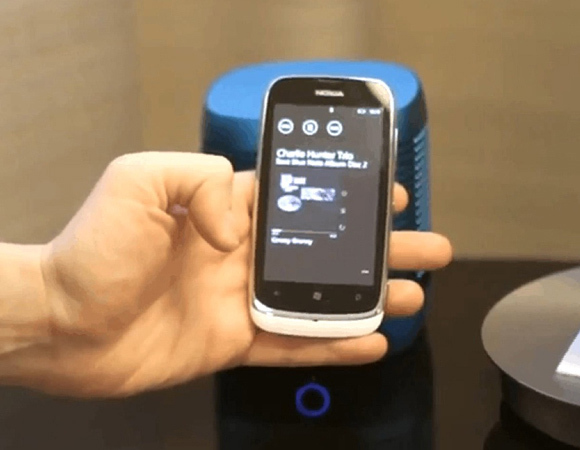 The video shows some features of NFC connectivity like activating tags by tapping on them, and streaming over to a NFC activated wireless Bluetooth speaker. Sweet! The video is said to have leaked by Nokia and is being taken down, but there is one choppy video which is still on YouTube which is making a buzz. Check out the video below and let us know what you think.